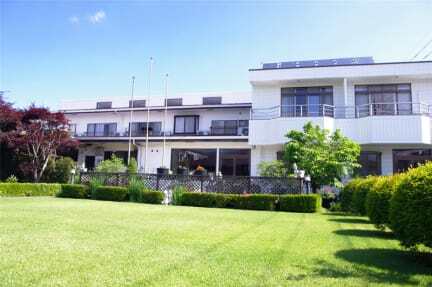 This property provides a relaxing atmosphere with Wide-Extended View of Mt. FUJI. They have a spacious lounge and fully equipped kitchen where guests can enjoy cooking and meeting new people while looking at the superb panorama of the symbol of Japan. K’s House Fuji View consists of Japanese style private rooms and modern style dormitory rooms with a scenic lounge on roof top. 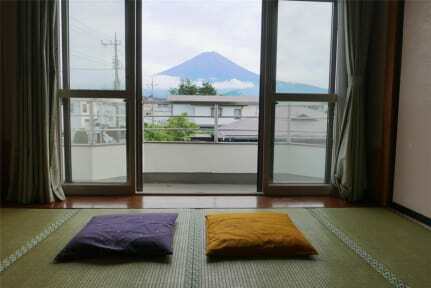 It is located in a calm, quiet residential neighborhood in the town of Fujikawaguchiko. K's House Fuji View provides a relaxing atmosphere with superb panorama of Mt. Fuji, where guests can feel of how it is like to live in this beautiful area of Fuji Five Lakes. Budget sightseeing tour around Mt.Fuji`s five lakes available. It is a great way to explore sites in / around Mt.Fuji. Please check mtfujitour.com for details. (1)* 30% of your first night will be charged if you do not notify us about your cancellation or any changes by 20:00pm 2days before from your scheduled arrival. (2)* 50% of your first night will be charged if you do not notify us about your cancellation or any changes by 20:00pm on the day before from your scheduled arrival. or No Show on your scheduled arrival. (2)children aged 7 - 12 must be accompanied by a guardian. Ostello bellissimo, personale molto accogliente e buona qualità-prezzo! The hostel is clean and cozy, and the people running it are among the most kind you can meet in an hostel. The bed was very comfortable and the view from the roof is breathetaking. Consider to spend at least three days in Kawaguchiko, because the area is wlonderful and there are a lot of things to do. And rent a bike from the hostel! It's very cheap!